LOWERING TAXES: The idea that Democrats don’t care about high taxes is nonsense. That Hellertown Borough has the highest municipal tax rate of all 19 boroughs in Northampton County should seriously concern all residents. It doesn’t have to be that way. In December, we had yet another tax hike. Enough is enough! Council needs to dig deep for the courage to make changes – and give taxpayers a little relief. The first solution is dealing with reality. Protecting the current tax base through smarter planning and cutting waste where possible will make tax cuts more feasible. FIGHTING CORRUPTION: Denial isn’t a river in Egypt – it’s in Hellertown. Some of our community leaders want to pretend otherwise. But we have a serious problem with corruption and cronyism in our public institutions in the Lehigh Valley, and Hellertown has not been immune from this. One borough council member had to resign the year before before last after being accused of theft. In the last year, a Public Works employee was arrested for methamphetamine-dealing — on the job! In the last three years, someone connected to taxpayer-supported Dewey Fire Company has faced criminal charges. I’ll work hard to establish a new ethics sub-committee on council, and to push hard for ethics training for all permanent and contracted employees. I hate, hate, hate corruption and cronyism, which come in all political stripes. We have many great employees, but we deserve to have total confidence in our government and its tax-supported services. WHY DID THE CHICKEN CROSS THE ROAD? If the chicken’s in Hellertown, we may never know. Crossing Main Street/Route 412 continues to be death-defying experience for many pedestrians and bicyclists, especially children. Crossing flags have helped a bit, but we’re not there yet. 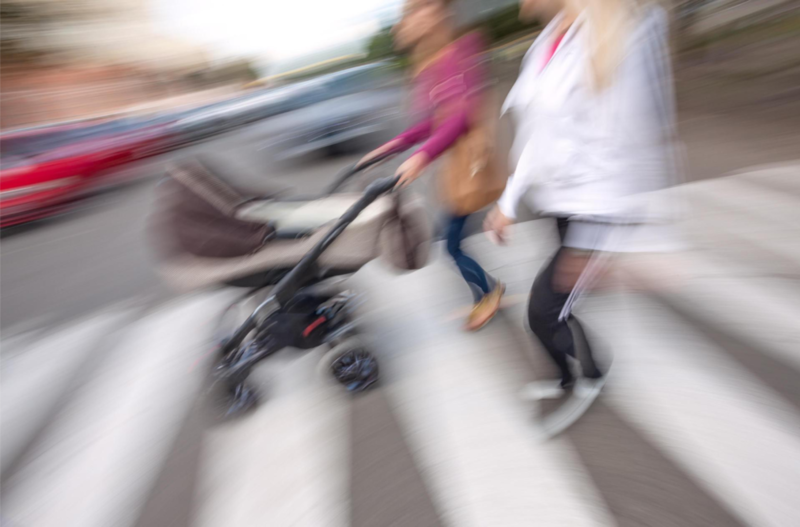 Fines and enforcement for motorists who fail to yield to pedestrians need to be stepped up. I’ll work to keep up the pressure for improvements and stronger enforcement – whatever it takes. If we want our businesses on Main Street to thrive, we need to make it easy to get to them – without endangering life and limb. A VOICE FOR ALL OF HELLERTOWN: Too many Hellertonians aren’t getting the representation they deserve. Four incumbent council members live within 1,000 feet of each other. Not a single council member lives on west of Main Street! But there are huge swaths of Hellertown elsewhere, too, that aren’t being represented. I’ll make sure I visit, in person, ALL of Hellertown on a regular basis and seek to recruit and encourage new council members from underrepresented parts of town. THE GREAT OUTDOORS: Nature is one of Hellertown’s greatest assets. I’ll work hard to protect it. Rustic leave-no-trace campsites along Saucon Creek – rentable for a fee – and ramped up attention to all our parks will be priorities for me. FRESH IDEAS: With all due respect, I believe Hellertown Borough Council has become an echo chamber of “groupthink.” We need new voices and creative solutions. Virtually every council member votes the same way on every issue. Real debate has become rare – except when neighbors demand it. The recent history of unanimous votes on virtually every vote is proof. TRUE SUPPORT OF THE POLICE: Supporting the police should be more than a bumper sticker. It’s one thing to claim we support the police – it’s another to demonstrate it. We need to help our officers feel personally invested in Hellertown. That can’t happen when they’re worried about losing their jobs, which is what happened last year in Hellertown. I’ll work hard to make sure our police officers are the best they can be, with fresh training opportunities and support for community involvement, and plenty of actual support – not just lip service. PROGRESSIVE VALUES … NOT NUTTY VALUES: I’m a moderately progressive, union-proud Democrat. I don’t hide that. I believe deeply in green values, union labor, humane employment practices, care of the sick and infirm, workplace diversity, and equal opportunity. But I also believe in the value of hard work, religion, and families – and in working with others (Democrats, Republicans, and independents) to get things done. Some of my best friends and neighbors – and my mom! – are staunch conservatives and Trump supporters. I’ll work with anyone to serve the public’s needs.